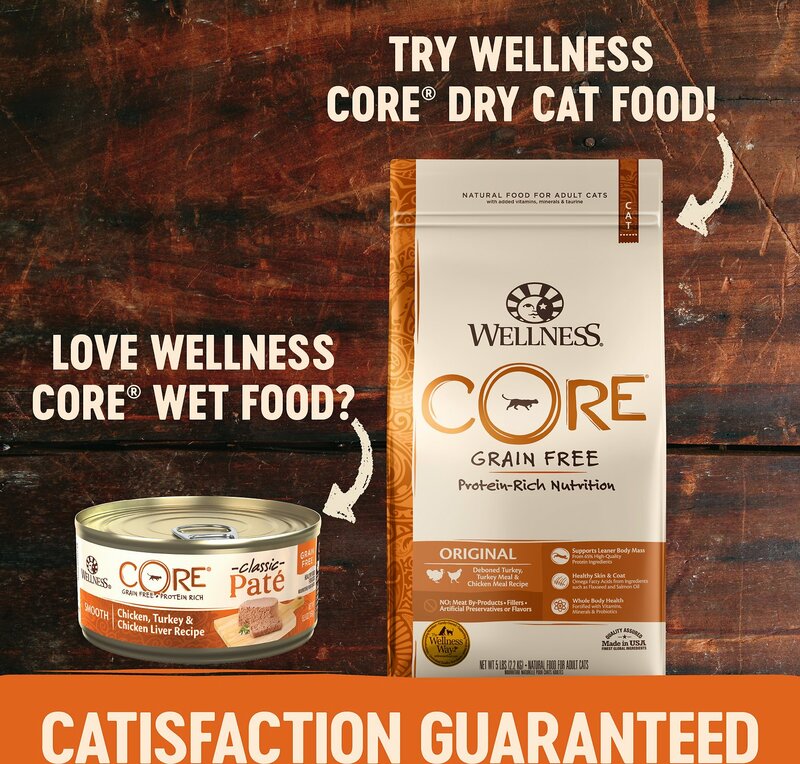 Wellness CORE Natural Grain Free Turkey & Chicken Liver Pate Canned Kitten Food offers a protein-focused diet to give your kitten the energy she needs to thrive. 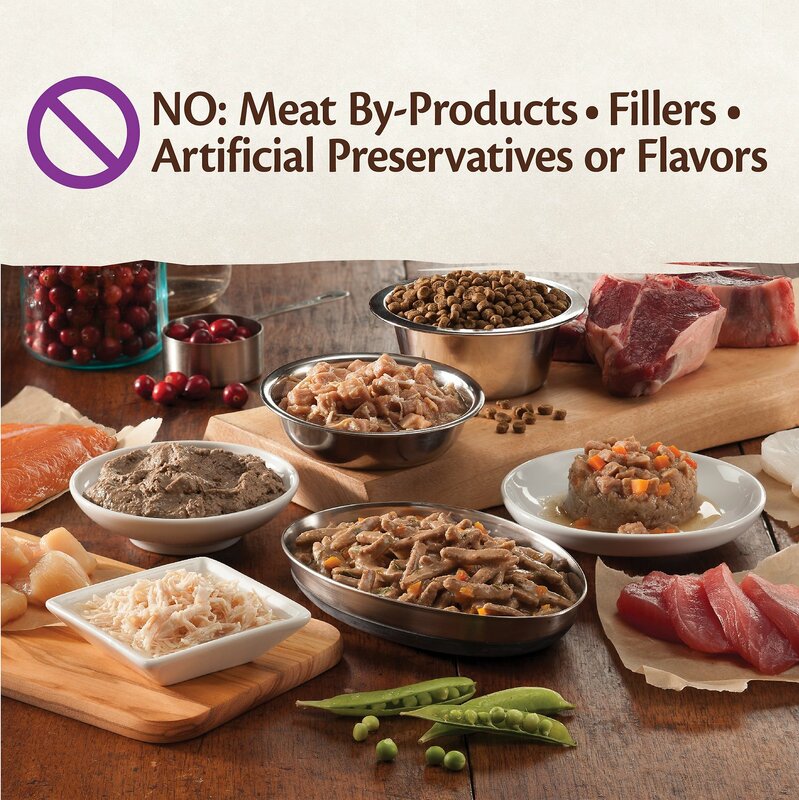 All grain-free recipes include wholesome, carefully selected ingredients for optimum health benefits. 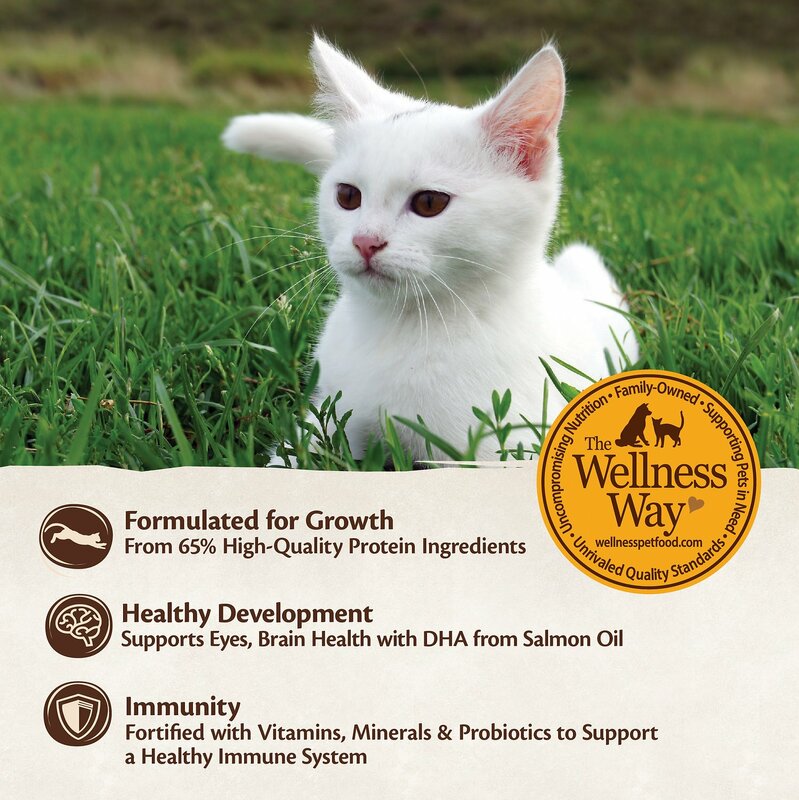 This specially developed meal contains added DHA to help support healthy brain and eye development in growing kittens. 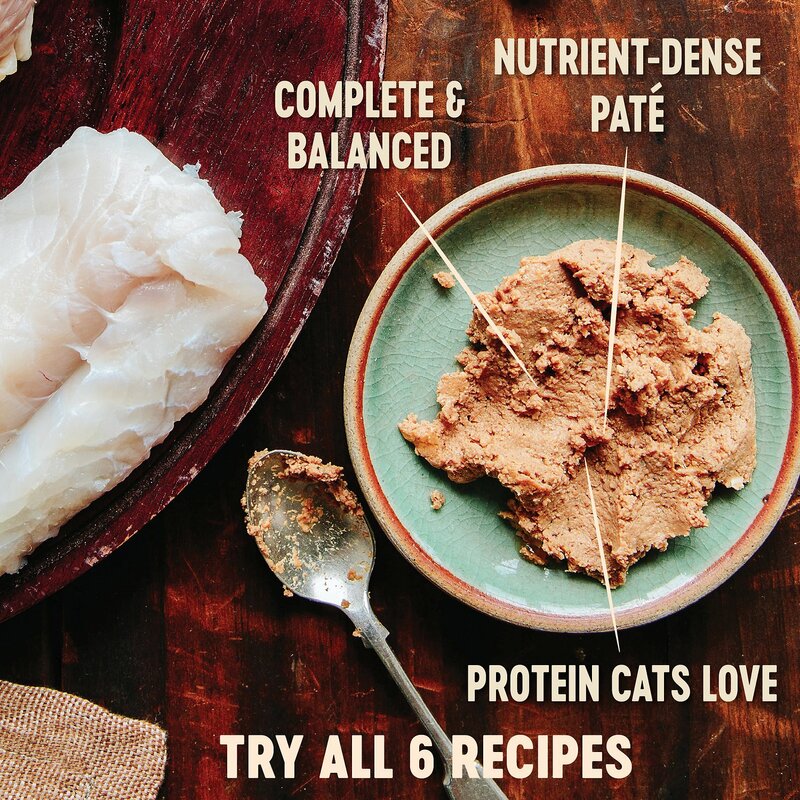 Each recipe is made without the use of carrageenan, artificial colors, flavors or preservatives—just wholesome ingredients for a nutritious meal. Made with carefully selected ingredients for optimum health benefits. 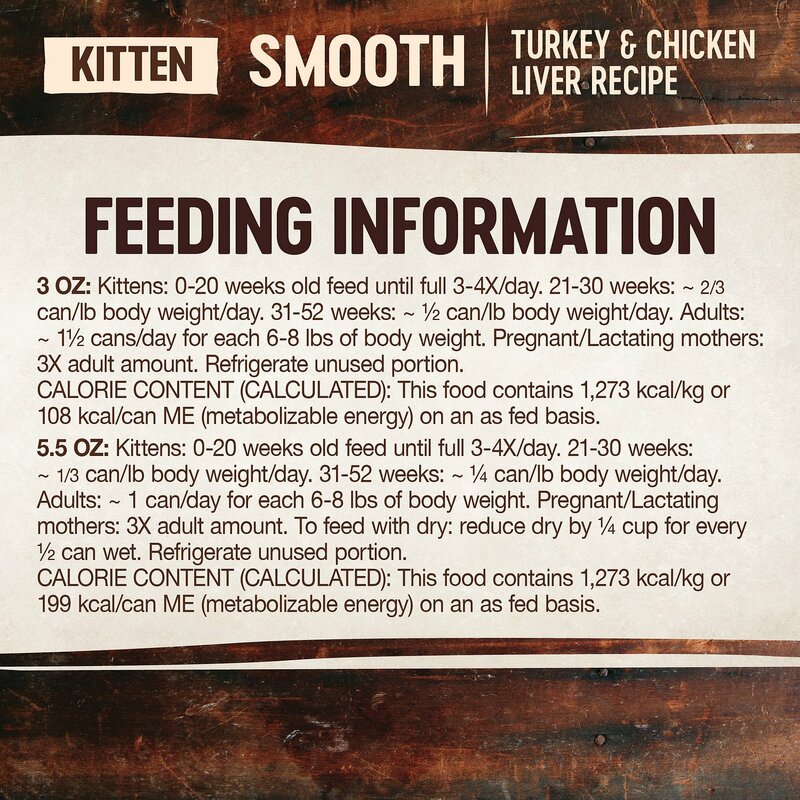 Protein-focused diet is perfect for growing kittens who need the extra energy. High-levels of DHA support healthy brain and eye development. 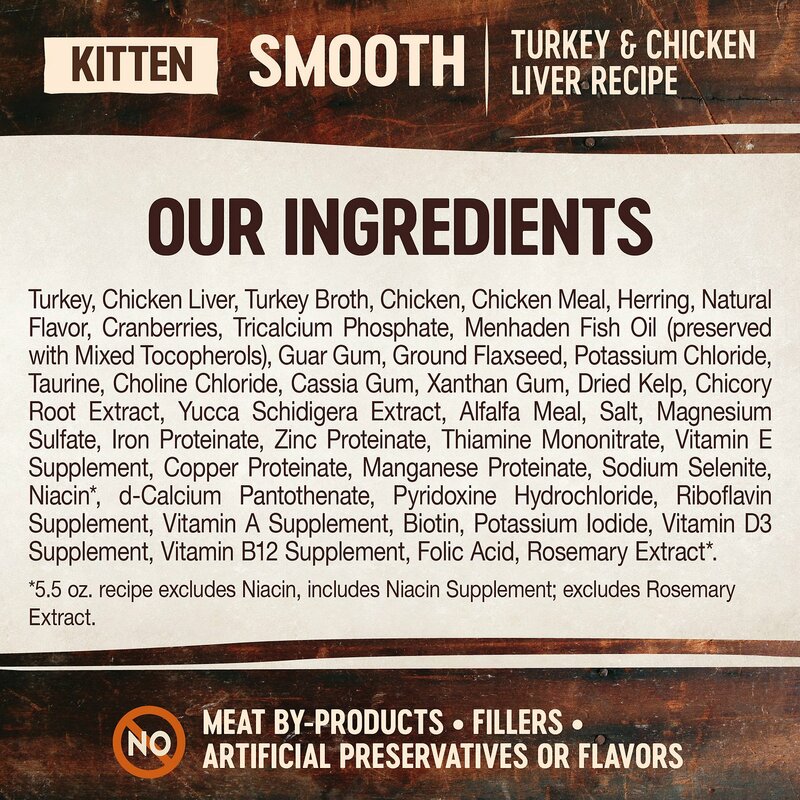 Grain-free recipe provides a complete and balanced everyday diet for your kitten. Developed with only premium ingredients—no carrageenan, artificial colors, flavors or byproducts. Serve at room temperature.Cover and refrigerate the unused portion. Always provide access to clean, fresh water. Combination Feeding: Reduce dry by 1/4 for every 1/2 can wet. My kittens started having this since 8-week old,and so far it has been great!However, the price suddenly went $20 more than it was!Sad that I haven't found a substitute. I guess I would have to try to pay it until my kittens are one year old. I buy this kitten food for my 21 year old boy. It keeps him healthy and strong and his lab results are always normal. There was one very swollen can on the bottom tier in the middle. This was also a problem once for another type of canned cat food I order from Chewy. I just recently started ordering from Chewy, but hoping this is not a common occurance. My cat can't get enough of this! My cat loves this food. I do have to mix it up a little into a mushier portion so it's easier for him to eat, but he gobbles it up. Will definitely continue to buy this brand and this flavor! 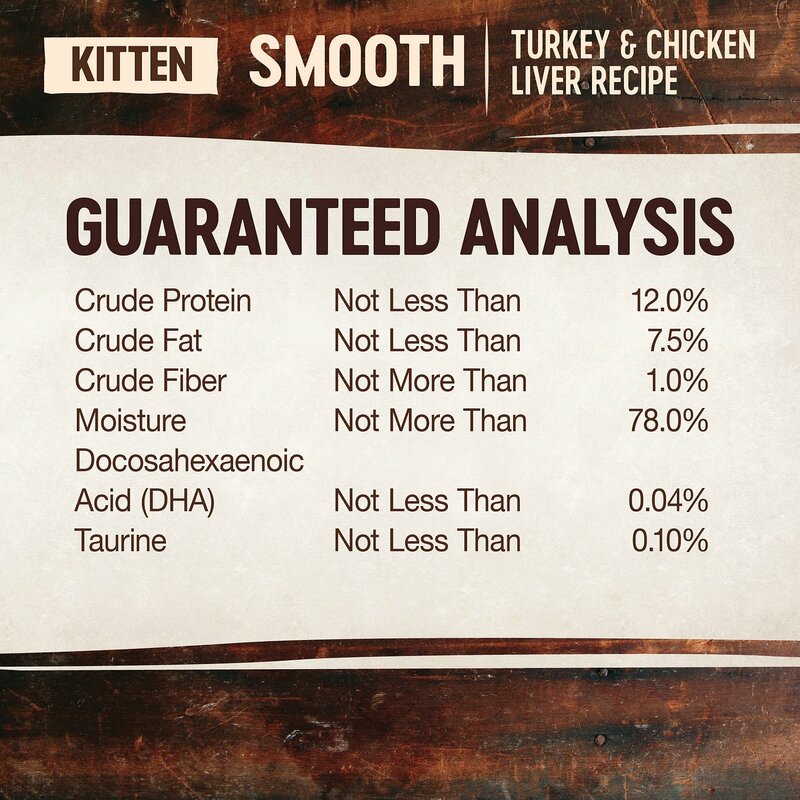 Great quality food that my kitten loves! It’s made switching him to an all wet food diet and meal feeedings really easy. We have an 8 month old Birman kitten. She is a good eater....finishing her food in less than a minute. We tried the pate as she seems to prefer not having to chew the food. 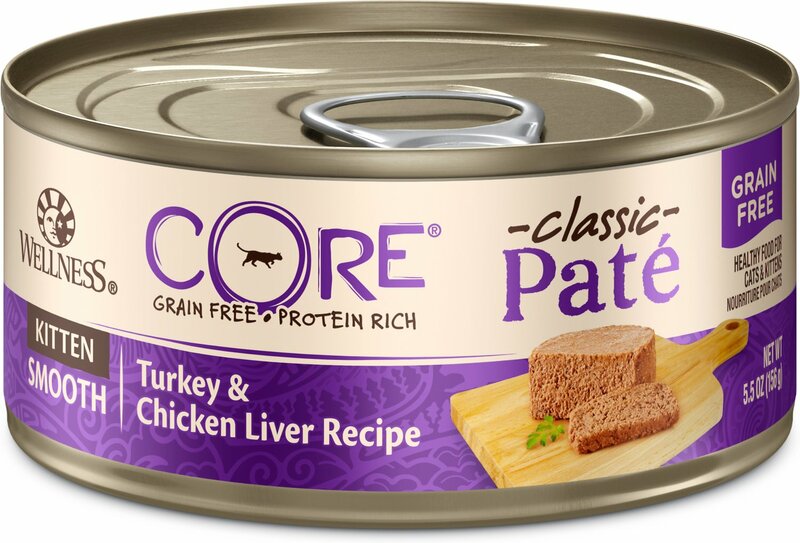 She loves the turkey and chicken liver by Core. We’ll be ordering it again. Stella loves her wet food.. it came to the door. All packaged neatly! I Love not having to run to Per Smart! I wish they made other varieties only 1 kind! My kitten loves this food. The quality is great and worth the extra money. He was underweight when we adopted him and he is now thriving thanks to this food. Food was good but only one of my kittens liked it. They like the Wellness Kitten Chicken in the smaller cans better seems.